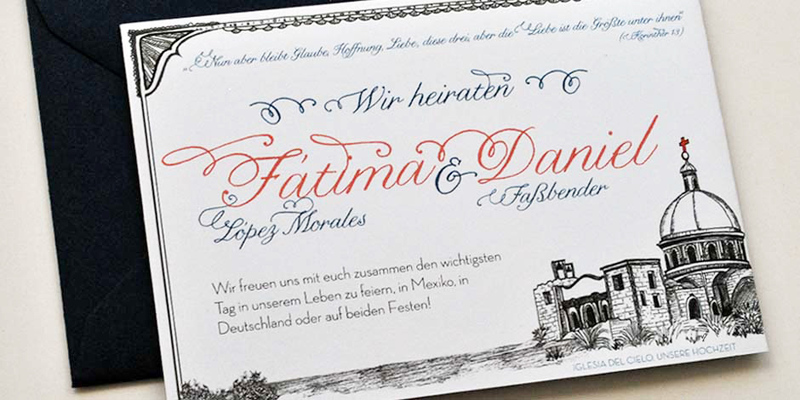 Custom wedding invitation for an international couple; the bride is from Mexico and the groom was born and raised in Germany. 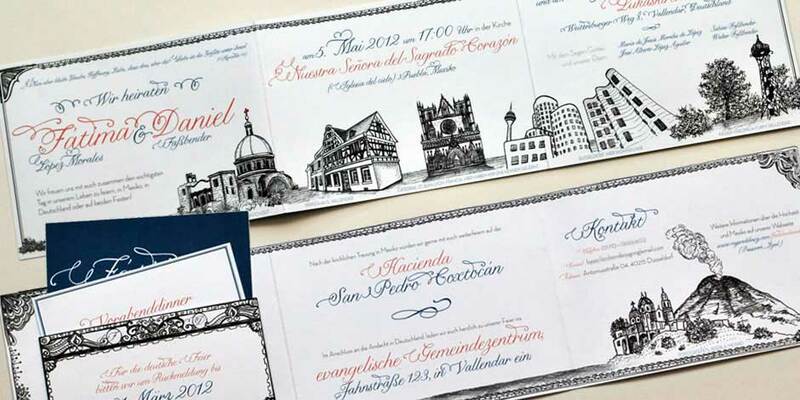 They met in Leon, France and currently live in Düsseldorf, Germany. 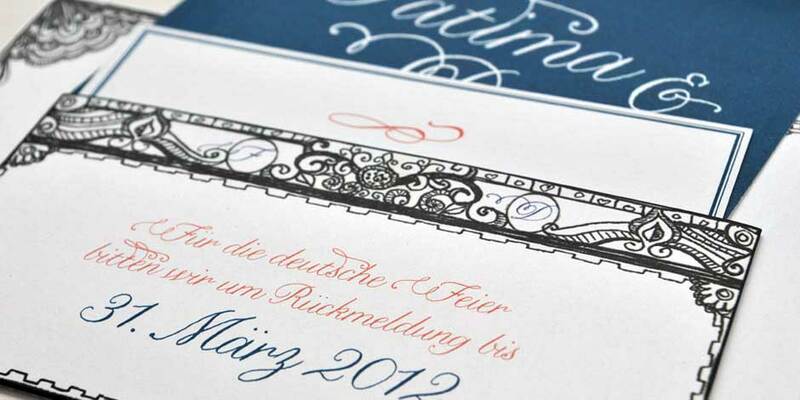 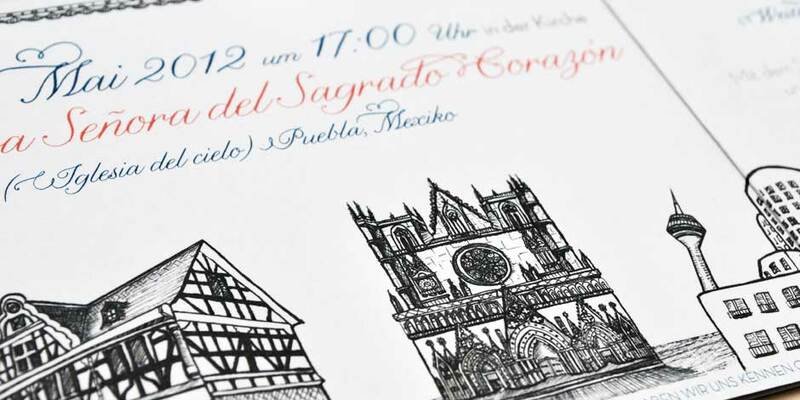 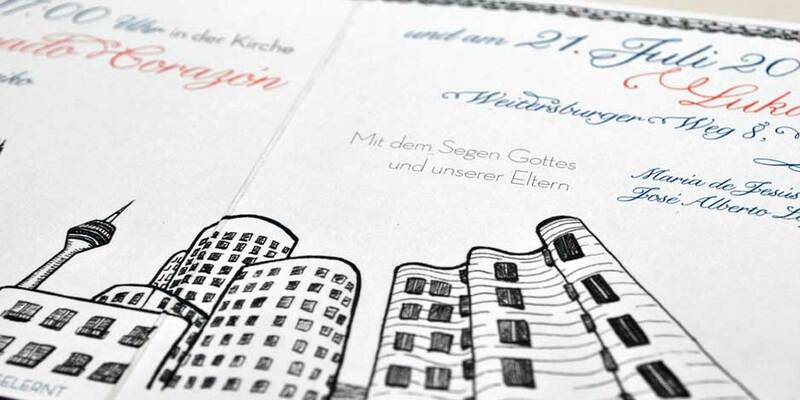 The hand-drawn custom international wedding invitation represents meaningful places that have affected their lives.